Flash War is here and the Rogues have been sent back in time to bring Wally back to the 25th century! 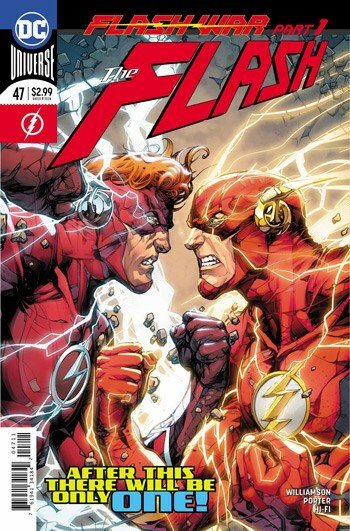 The Prelude to Flash War was in Flash Annual #1 which illustrated that post-Flashpoint, Wally has been a man out of time. He is plagued by his old life in Keystone City and violent memories of an unknown world to him. There are many Flashes in the current continuity, Original Recipe Barry Allen, The Wally West of Flash War and young Kid Flash Wallace Flash.